Cypress (Cupressus spp. ): growing, planting, caring. Did you know? In the Hellenic culture, the Cypress tree was sacred to the goddess Artemis. Scientific name : Cupressus spp. Cupressus is a genus of trees within the family Cupressaceae with the name cypress - which it shares with closely related genera, native to warm temperate regions in the Northern Hemisphere, and common in parks and gardens. They are evergreen trees or large shrubs, growing to 5–40 m tall, with scale-like, 2–6 mm long leaves arranged in opposite decussate pairs - on young plants, the leaves are needle-like. Cypresses are evergreen, evergreen conifers with composed leaves in overlapping scales. The bark of adults is detached in round scales. 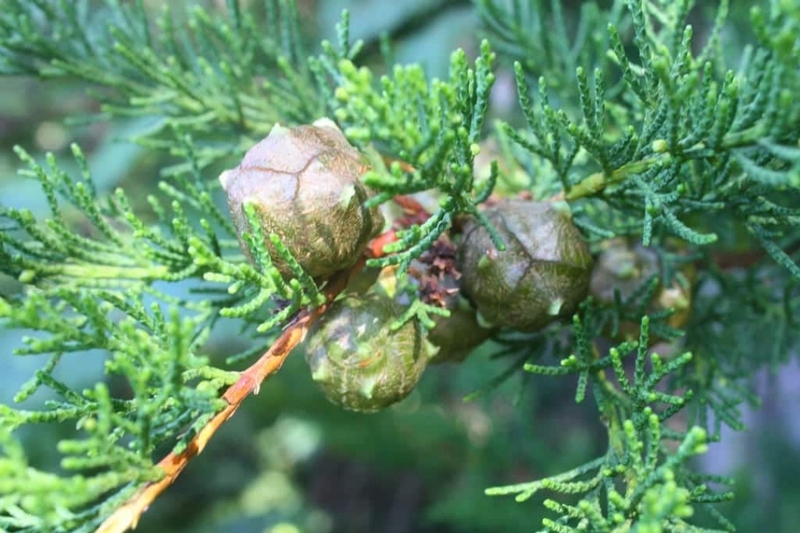 The female cones persist on the tree, are spherical, 2 to 4 cm. The male cones are ovoid, at the end of the branches, and measure a few millimeters. Water your cypress the first year in case of drought. In pots, wait until the soil dries between watering. Leave the scales under the cypress. If they do not limit weeding, add some pine bark, or crushed wood. Cypress trees fear root rot in moist soil. Cortical chancre is a serious attack, which causes browning and then dieback of the twigs. Cypresses multiply by cuttings in August. Take young shoots of 15 cm, leave only the terminal scales, dip the end into a bit of "cuttings hormone", and plant them in draining soil. Moisten regularly.